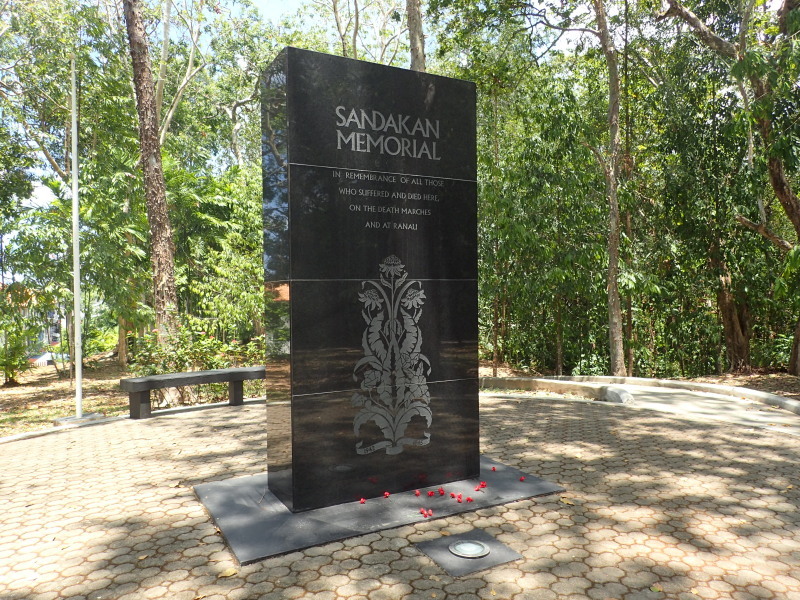 On the way in to Sandakan, we stopped by the war memorial where we learned of the Sandakan WWII POW camp. The treatment of the prisoners was brutal. As was explained, the Japanese had signed but not ratified the Geneva convention on prisoners of war. After having worked the prisoners on an airfield, they were taken on a death march to another location. Along the way, only 6 prisoners managed to escape either the march or the ultimate destination and avoided death. 2500 died, some of them summarily brought out to a field and shot (if they had not died before). More would have died at the other camp, but it was liberated first. Here’s the memorial marble obelisk. The following day we could a walk up the hill from the harbor to the English Tea House. 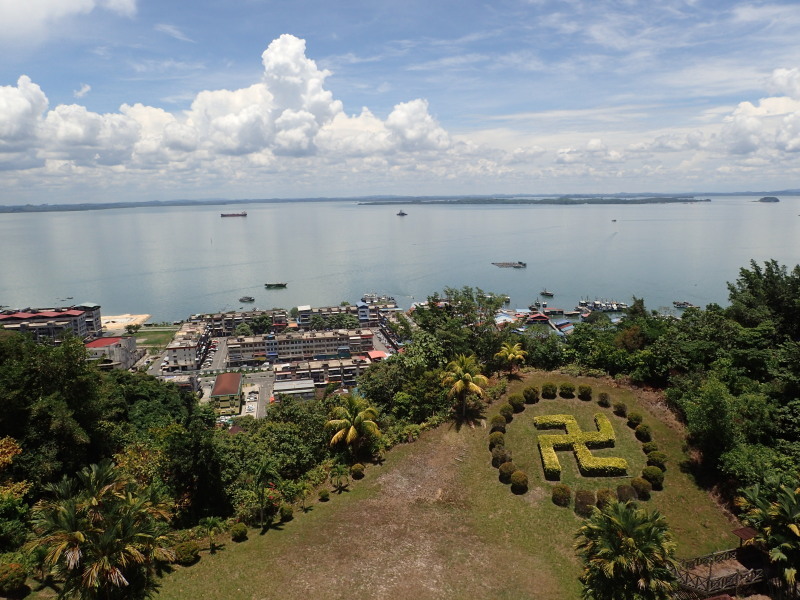 It must have been quite the location in the 30’s with the British gentry who lived in Borneo. It has been fairly well maintained, and they had a very nice tea set. 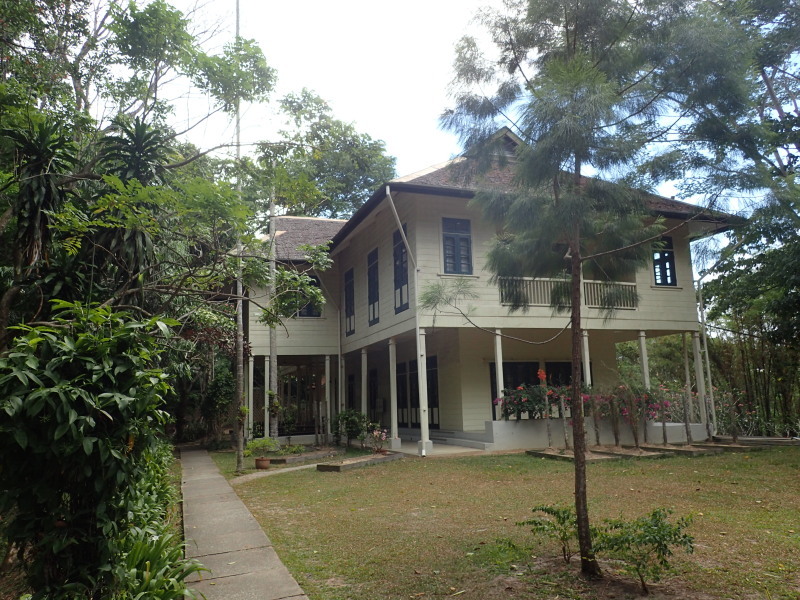 Afterwards, we went over to a preserved house of a British writer, Agnes Keith, who wrote Land Beneath the Wind (I think) and a number of other books about her Borneo experience. She and her husband (who headed up the Forest Conservation department) were imprisoned on a neighboring island during the Japanese occupation, and they suffered deprivation, broken bones, etc. Years later, they visited Japan, which was a sign of reconciliation in my mind. Here is the photo of their house on the hill which had been destroyed during the occupation but which was rebuilt. Finally, we walked over to an old Buddhist temple, which was both small and had the feel of a very old religious building. 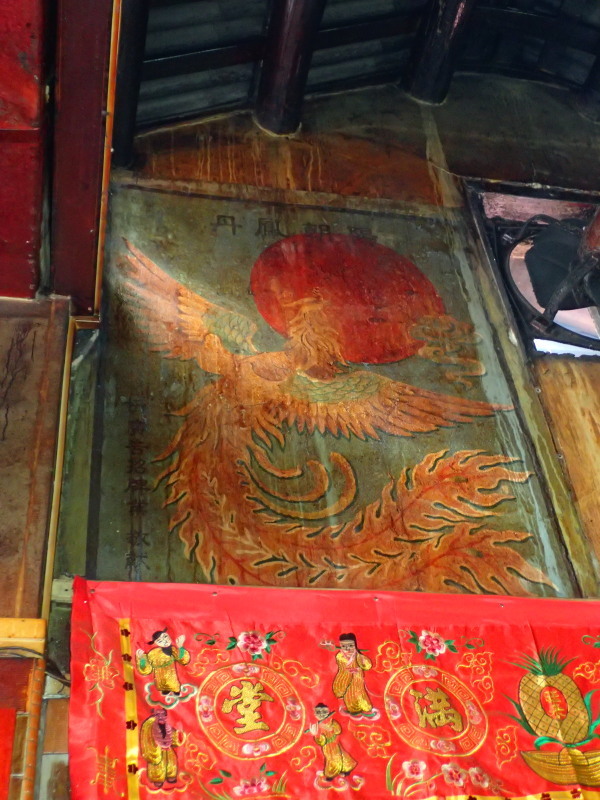 The photo above shows a mural on the wall which was very hard to see in the darkness of the temple but which photographed quite well. 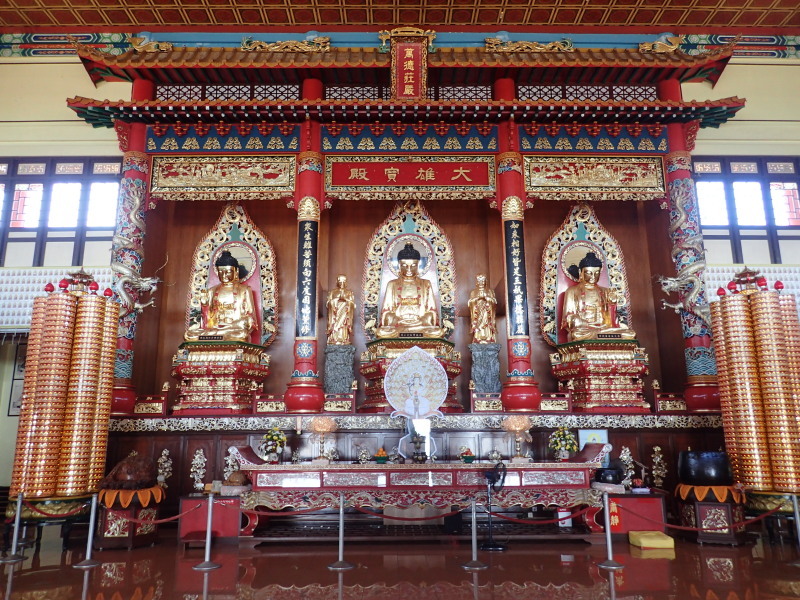 The following day on the day to the airport we went over to the new Buddhist temple built in 1987. It was massive and showy as you can see in the photos. It was at the very top of a hill and had a great view. 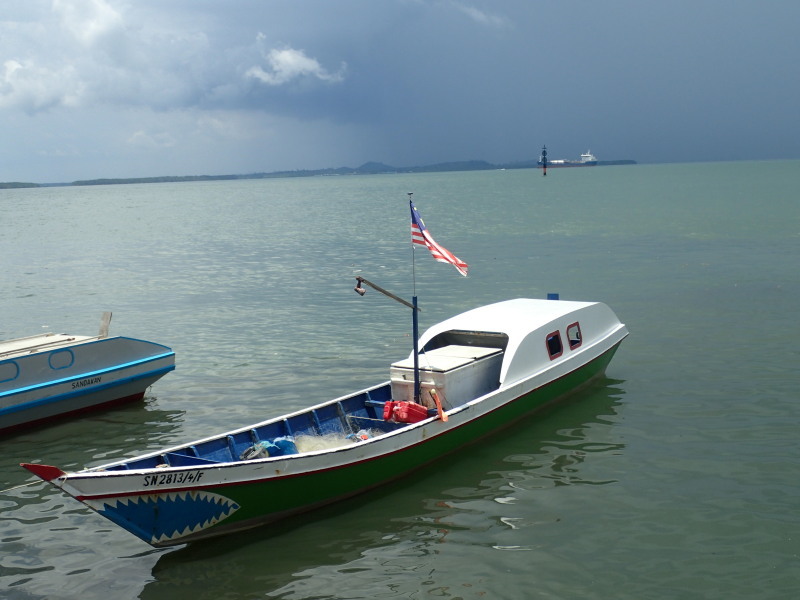 Finally, here is a photo that Kate took of one of the local fishing boats which reminded me of the way they painted spitfires in WWII. 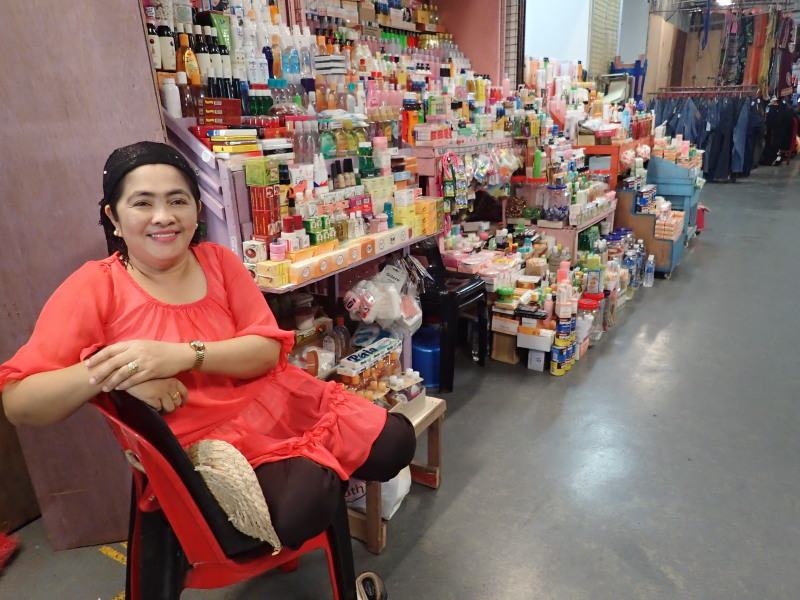 We went over to the Central Market and saw the wet market with all sorts of fresh fish for sale, and then went upstairs where Kate bought a few things and took some photos. Nearby, as we walked around, Kate saw some guys photographing a model near the bus station. Kate asked what was going on, and we found out that it was a photography class where they are taught skills and then go out and take photos using the skills just taught, in this case with the hired model. We went over to the Rainforest Discovery Center which is a science educational center with a lot of trails and canopy walk right through the jungle. 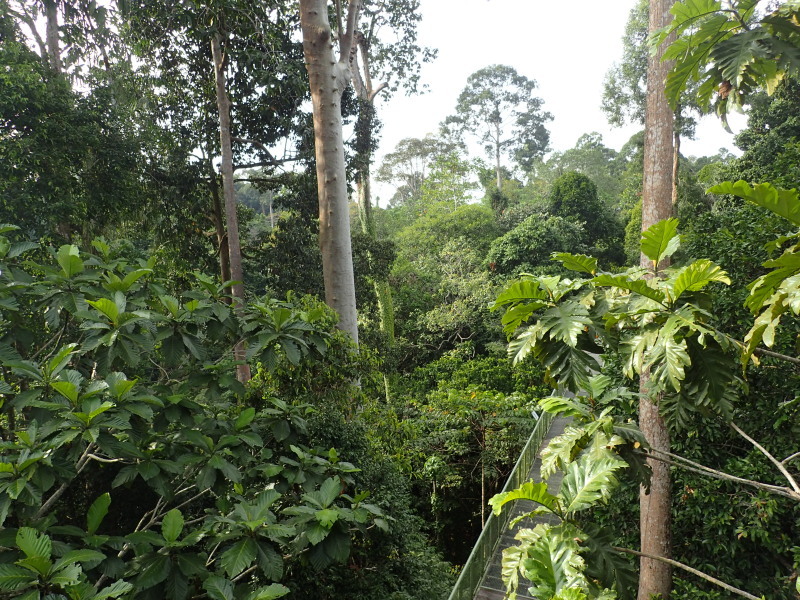 Here’s an example of the jungle that I refer to, and you can see the canopy walk below. We’re at about 100 feet up, and the canopy walk is about 65 feet up. We also hired a private guide to take us on a night walk. 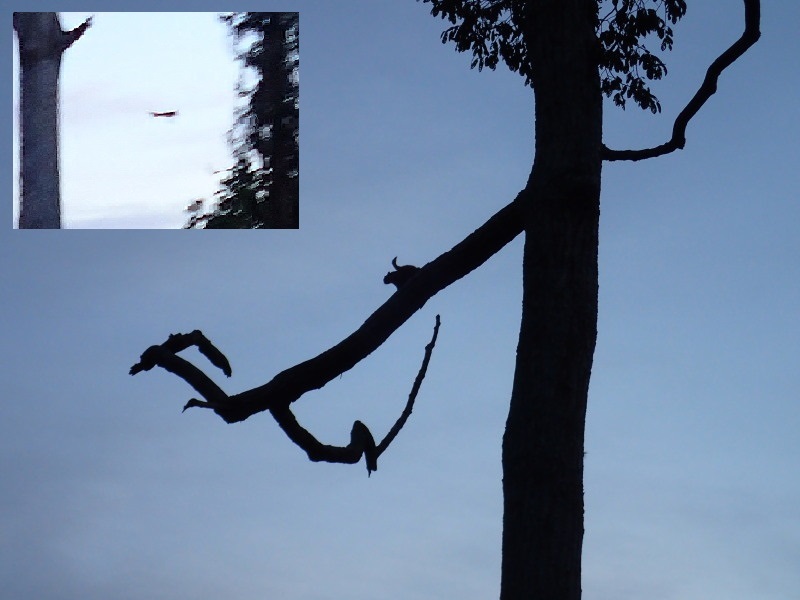 He started by showing us the flying monkeys, which truly glide from tree to tree as they make their way around the forest at night. You can see this one crouching right before he jumps and the inset shows him flying through the air. As we went through the jungle, we saw all sorts of creatures. 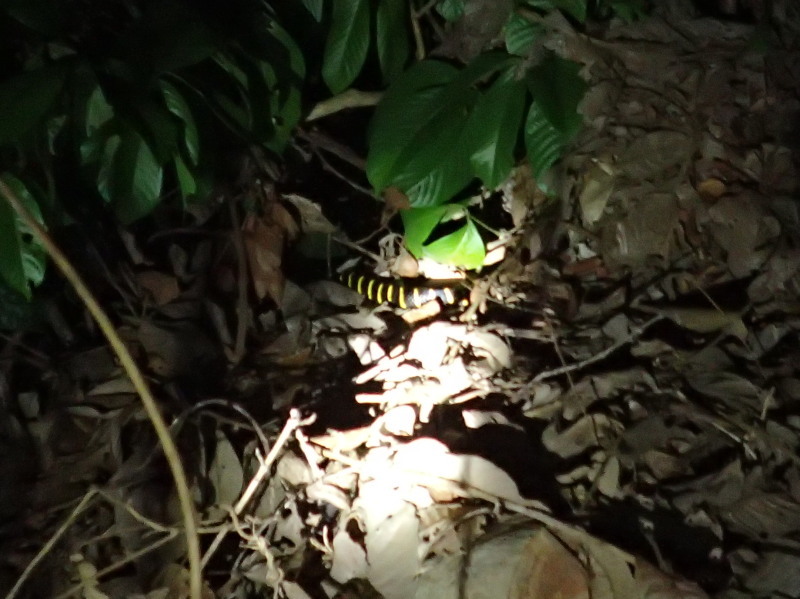 Kate spotted this Mangrove snake, a rear-fanged poisonous snake. This snake was probably about 7 feet long, though we only saw a portion of him as he slithered by us. 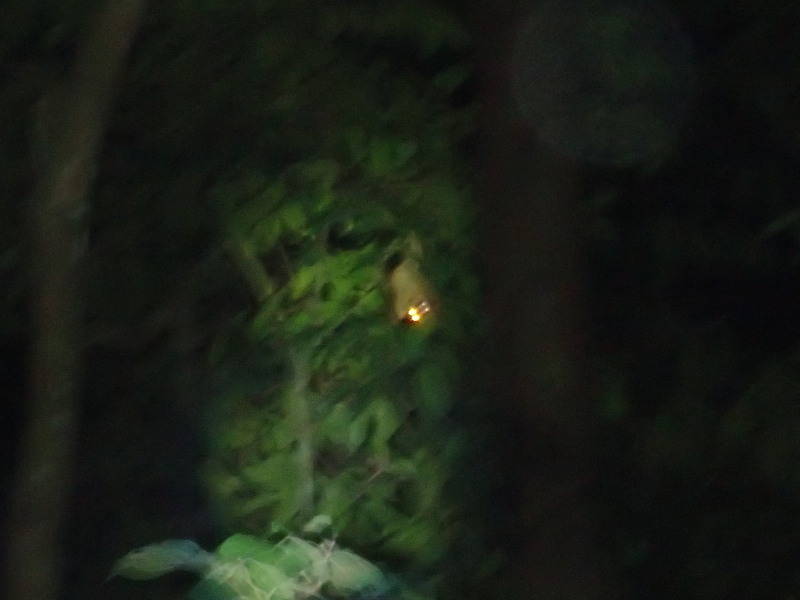 We even saw a slow moving lori, which is a primate that comes out at night. 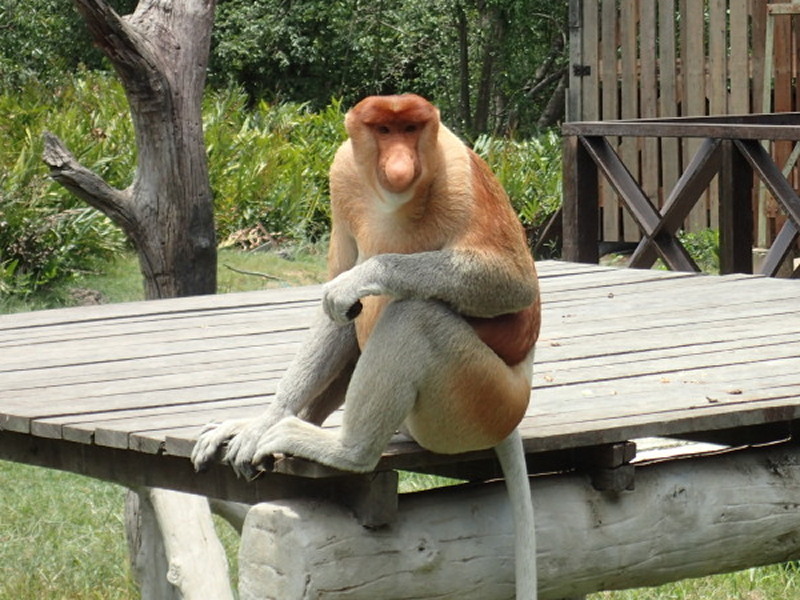 He moves around the trees eating insects and fruit. In this photo, he is hanging upside down as we came upon him. We also saw insects like this cave centipede. 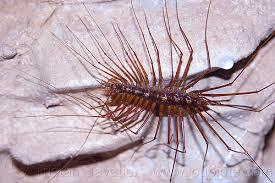 This is one of the more ancient forms of centipedes, but they do have poisonous bites which are painful. 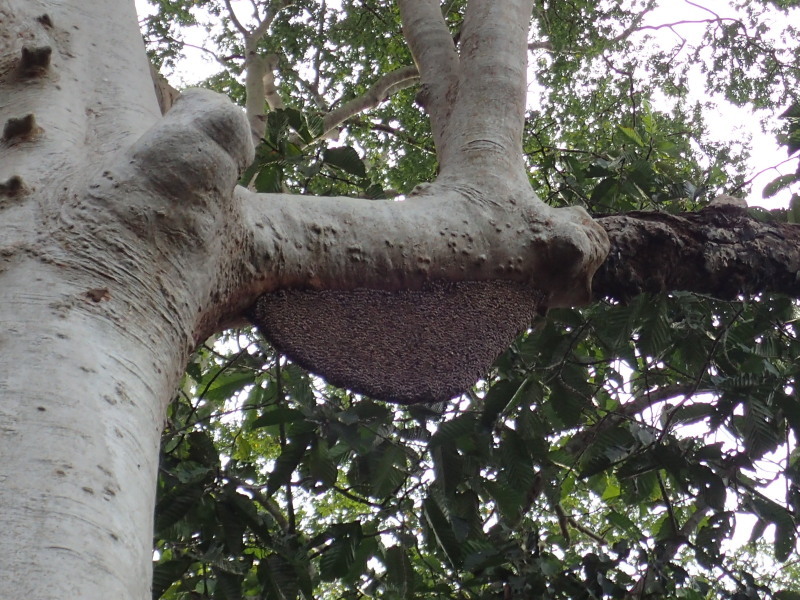 In terms of insects, we also saw this 3 foot long bee hive on one of the very tall trees. There were multiple beehives in this tree. 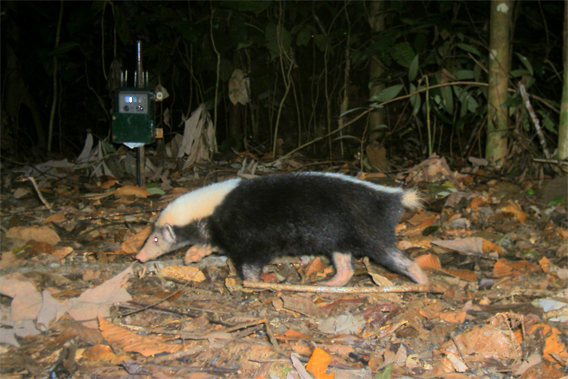 Finally, we saw a Malay badger. They aren’t actually a badger, but really a skunk. The law of unintended consequences…..No matter what you do, you will have unintended consequences. For example, Rudy Guiliani decides that it is bad news for people to have heart attacks in New York due to trans fats. So, he single handedly brought about the wiping out of huge amounts of ancient rain forest. How’s that? Rudy gets his legislation passed in NY city. Trans fats were critical in lots of foods to keep the consistency of the food correct. Think Oreos. Lovely cream filling as long as the oil doesn’t separate and make it all gooey. So the major cookie manufacturers like Nabisco see Rudy’s legislation and decides the time has come to make the switch so that they don’t have to worry about this sort of legislation. But what to use? The singular alternative is palm oil. 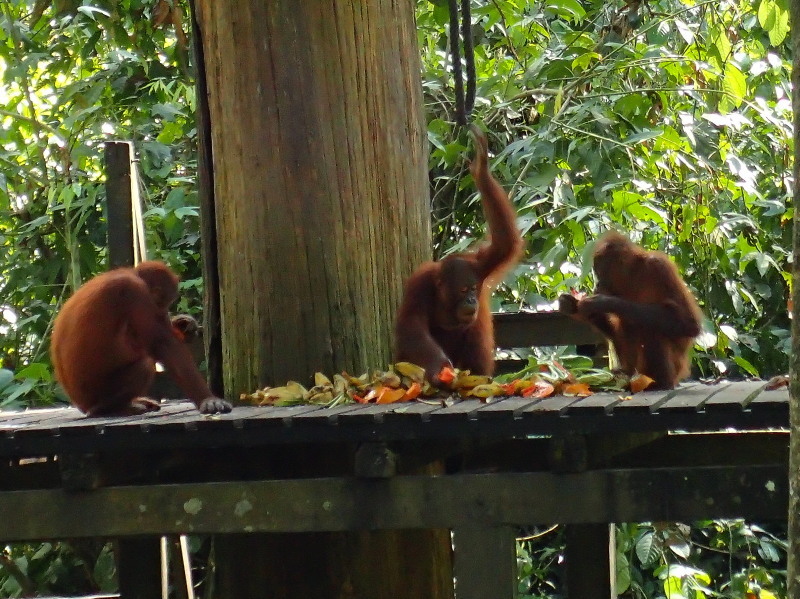 And so these companies started buying large quantities of palm oil. 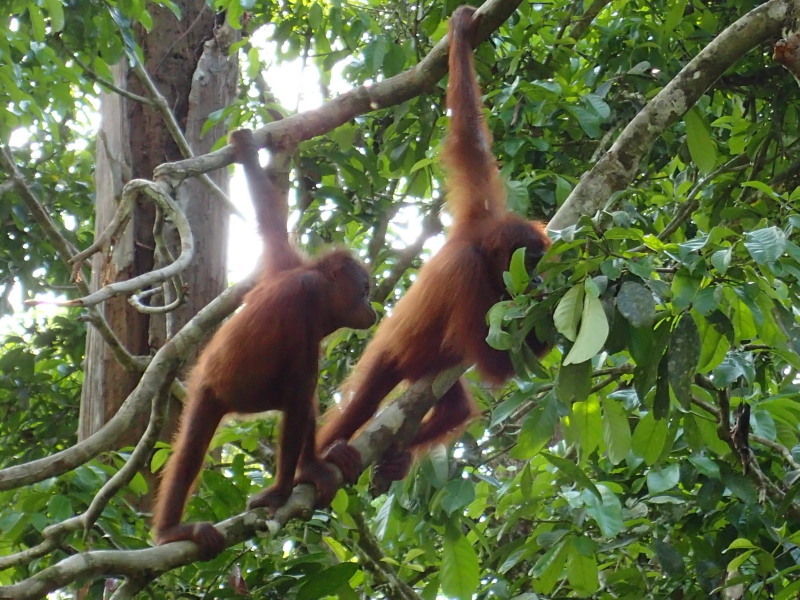 Which resulted in LOTS of people in places like Malaysia razing the forest to the ground to plant palm oil plantations to provide the supply. Thus, Rudy wiped out large swaths of rainforest with his legislation in a most unintended way. We saw these palm plantations covering VAST areas of Borneo. 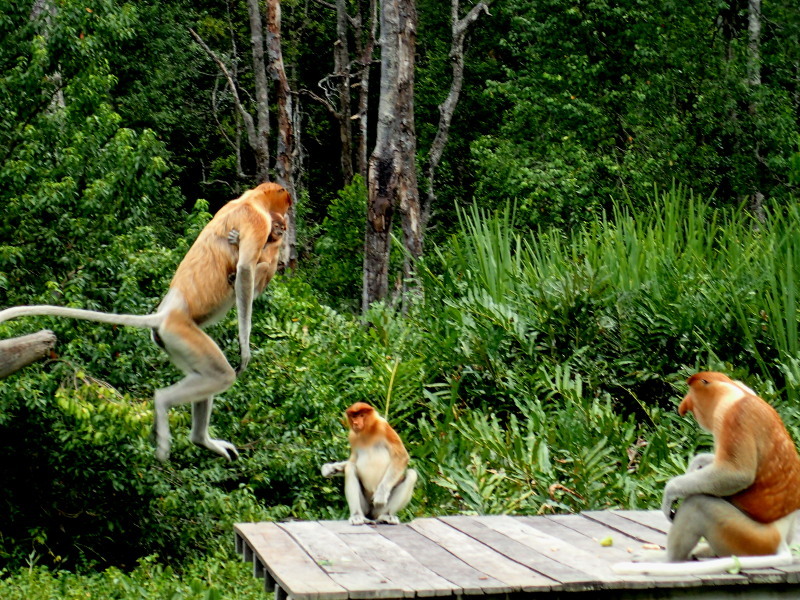 One of these landowners saw the proboscis monkeys about to get wiped out from his mangrove forest, and so he left a small corner of it to make it a proboscis monkey preserve. 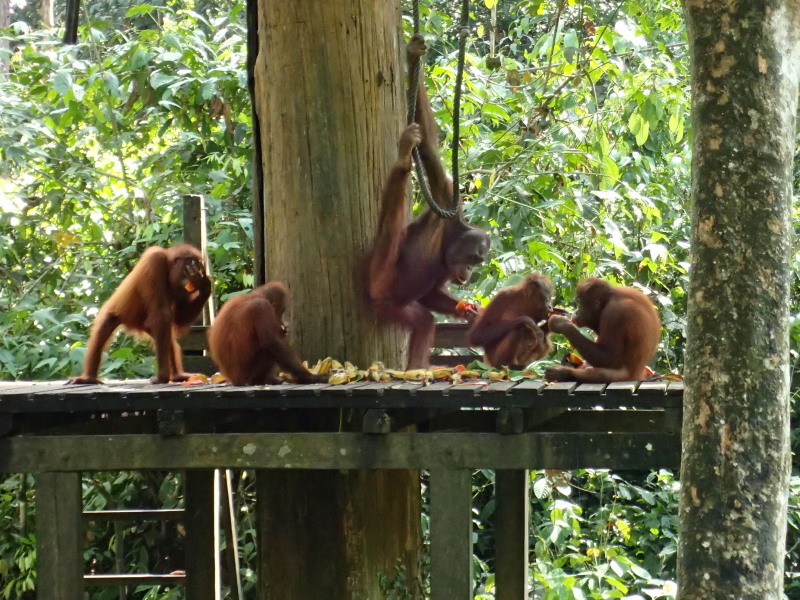 (They’re found nowhere else but Borneo.) Here are some photos. 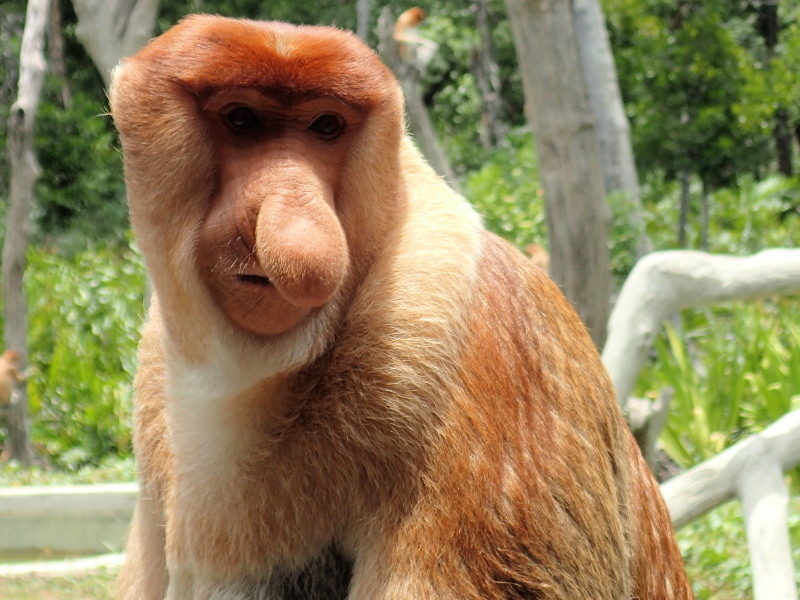 According to National Geographic, scientists think the large nose amplifies the large males calls for both controlling their group and warding off competitors. 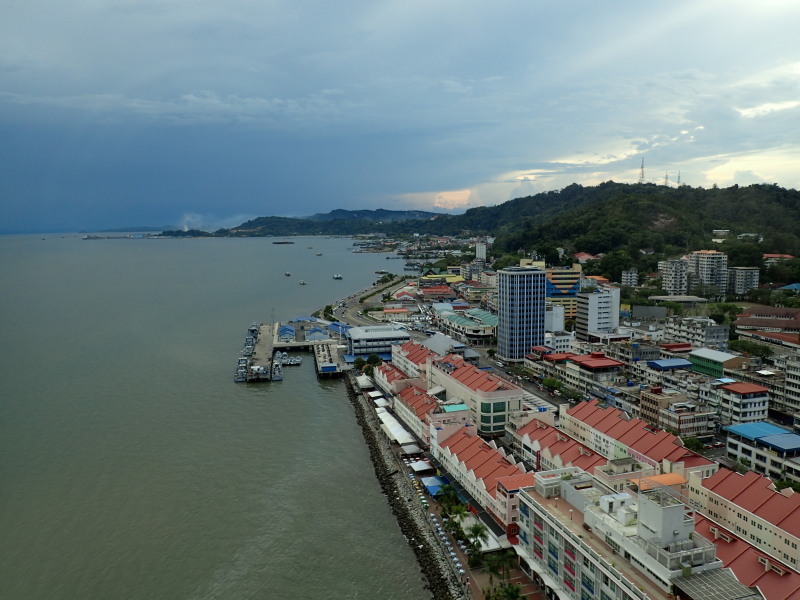 We left Semporna today to move over to Sandakan, a town on the northern edge near ancient forest. 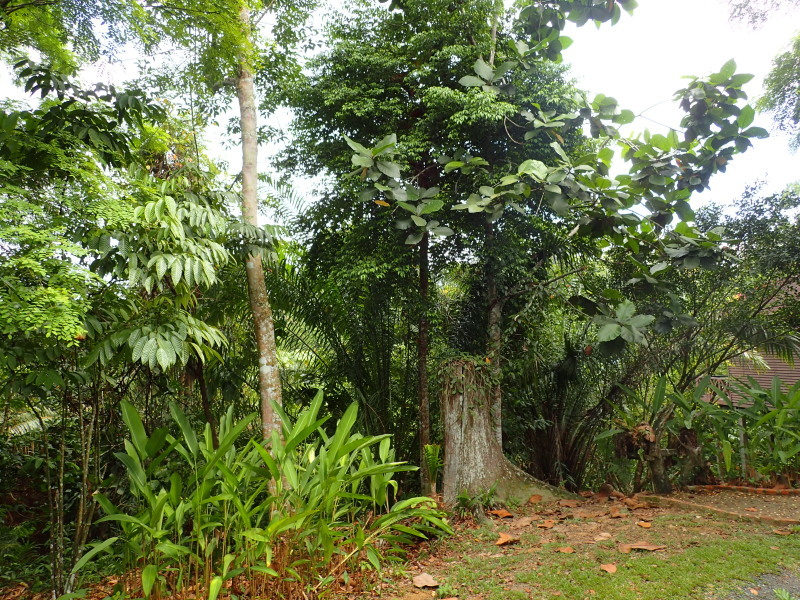 We’re staying at the Forest Edge Lodge, and, as you can see from the photo, the vegetation is lush. Today we visited the island of Kapolai. Well, none of the island is above the waterline. But they’ve created a resort on stilts. 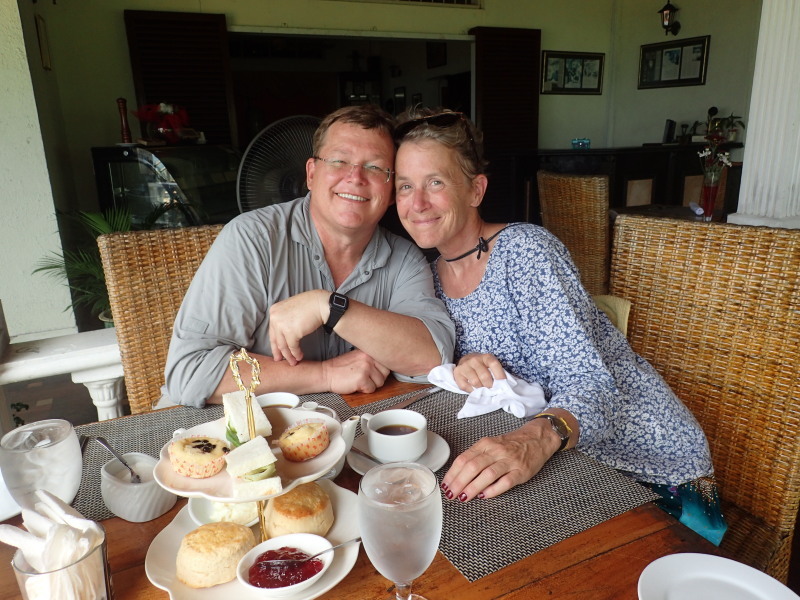 We didn’t get to visit the stilt resort, but we snorkeled the reef. 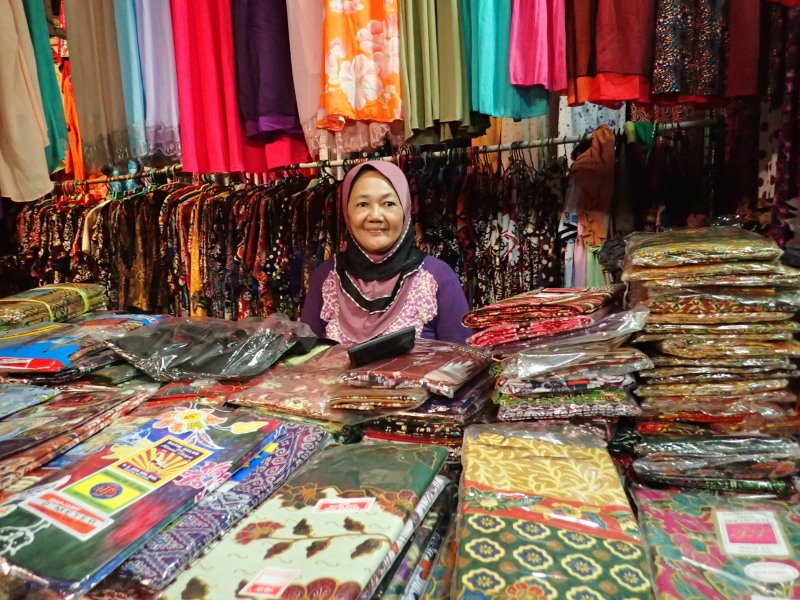 Later, we went over to Mabul. 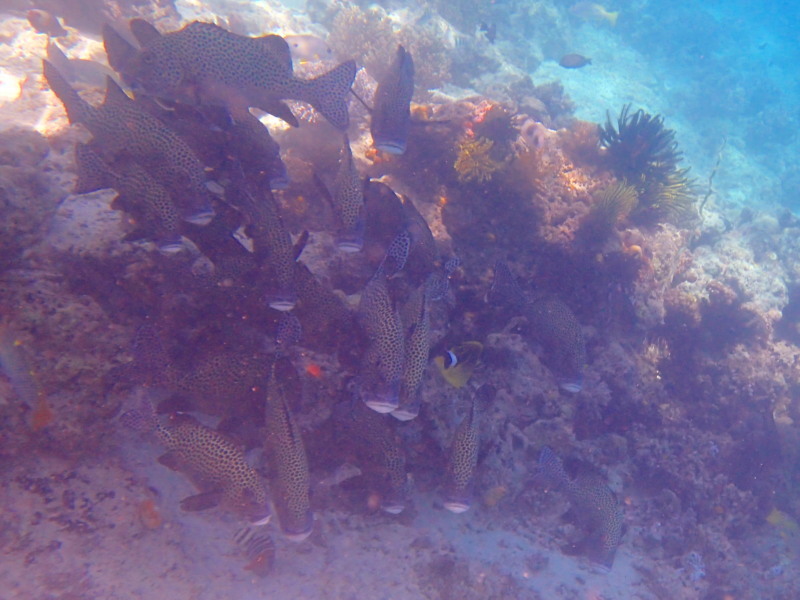 The snorkeling was not that great over there, but we did see a few fish that we had not seen elsewhere. Here’s a photo of the village next to the dock. Finally, back at the hotel, we saw this large heron on the building across the street. We came to learn by watching him, that he was fishing for birds, i.e., the swallows flying overhead. 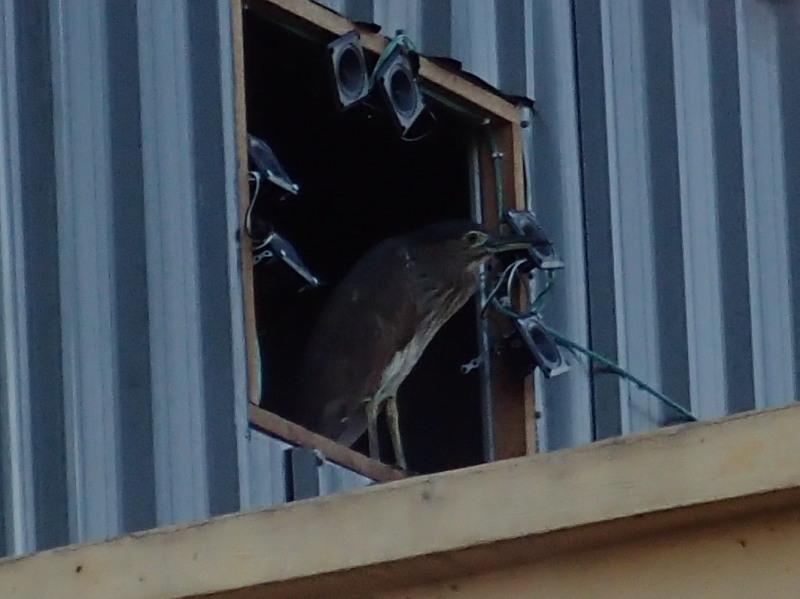 They must land near his perch and he snatches one and then eats it. Life can be short in this ancient ecosystem. 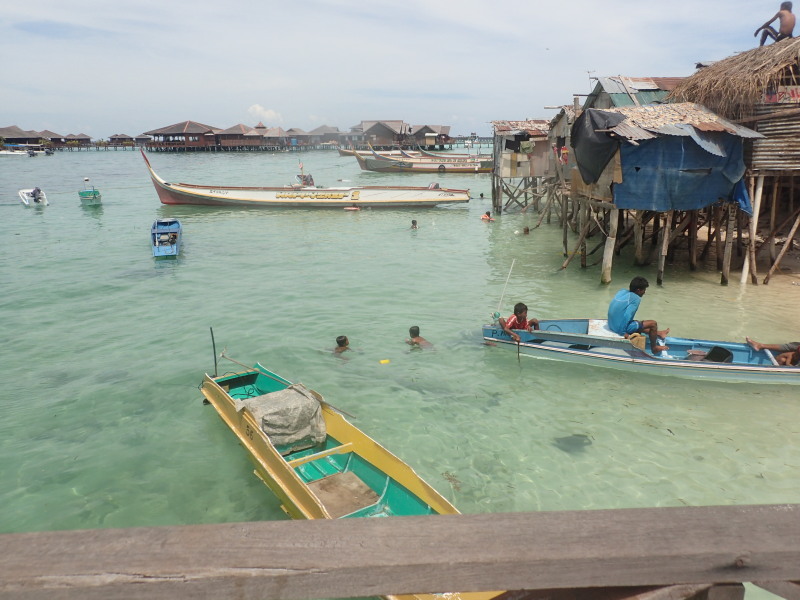 We didn’t stay at the resort (photo below), but we did land on the island and go snorkeling there. (Photos on following posts.) I can’t say enough good things about the location as it had it all. 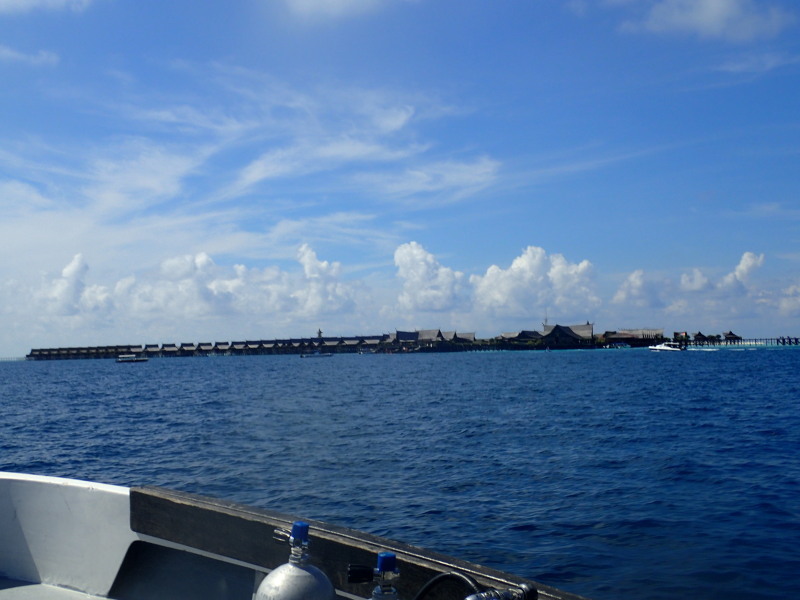 Nice flat reef for snorkeling, and a sloping decline to the depths. 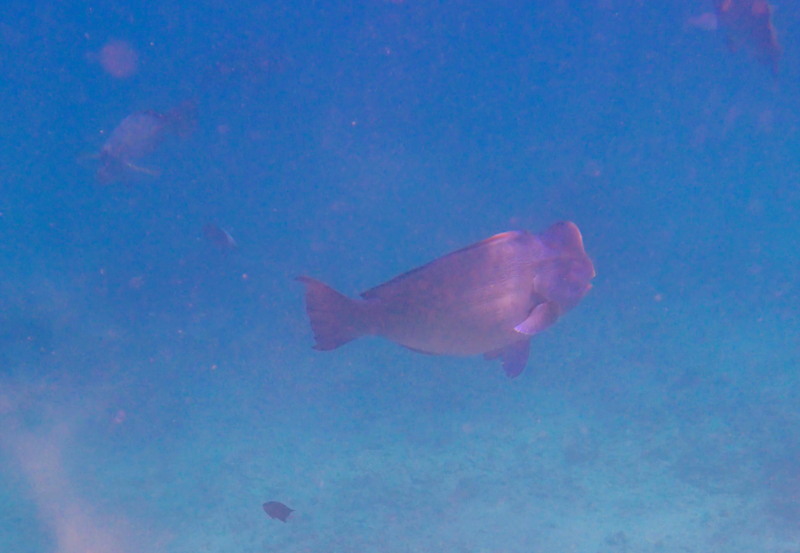 Large fish like trevally and schools of other fish would swim the edge of the decline, and so, as a snorkeler, it was great because we saw both large and small fish. 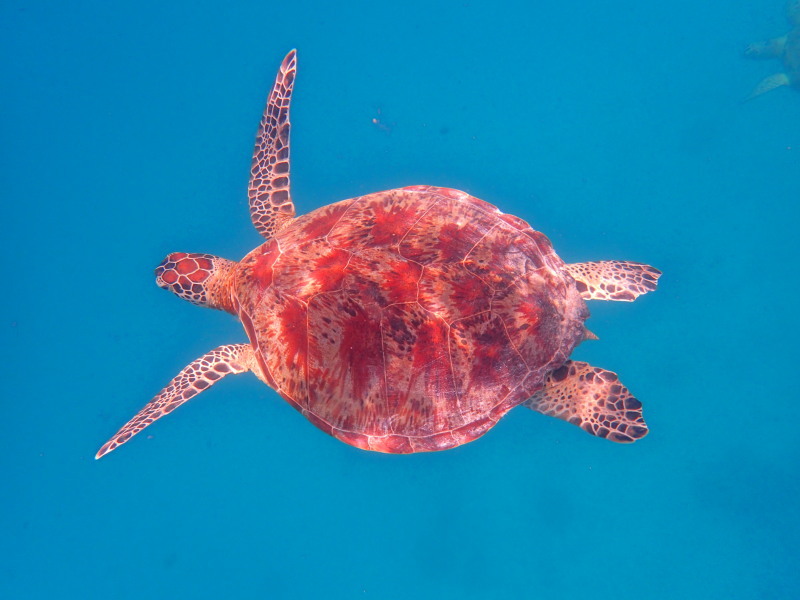 It was like an open water swim, but over the flat reef. 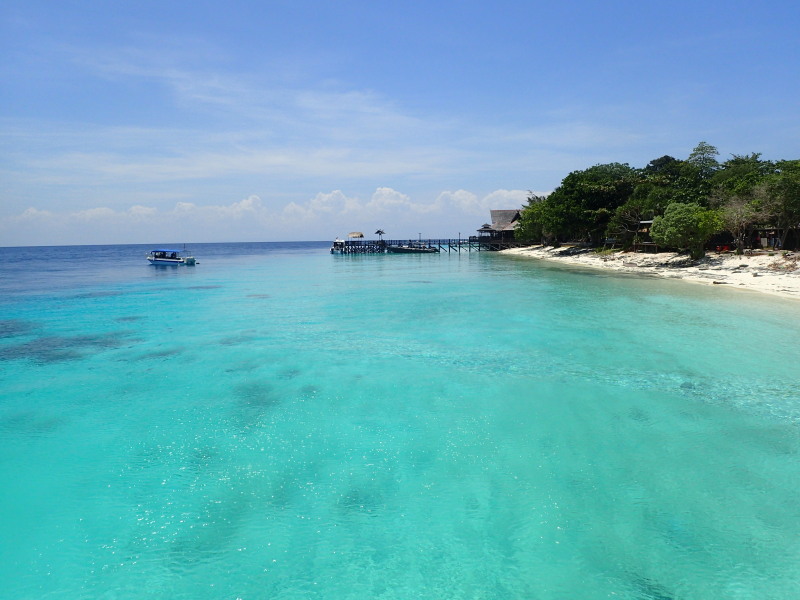 The flat reef is actually a sandbar that used to be part of the island but has been reduced.